The Honda Fit is an amazingly versatile and totally stylish five-door hatchback. Find the Honda Fit hatchback at Brandon Honda and find out what all the fuss is about. 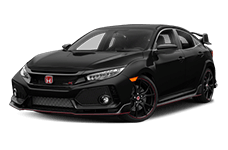 Drivers from all over the greater Tampa, FL area as well as the rest of the country have become enamored with this stylish and utility-happy five-door, and you will fall in love too when you see it in person and take a test drive at Brandon Honda. The ratings for the 2016 Honda Fit are incredible and drivers everywhere love how versatile and easy to configure the interior is; the Hyundai Accent just can't keep up. The 2016 Honda Fit is an amazing commuter vehicle because it offers amazing fuel economy numbers without the high price of a hybrid system. With its new 1.5-liter four-cylinder and six-speed manual gearbox, the Honda Fit can earn up to 29 city and 37 highway mpg. With the upgraded CVT gearbox, the Honda Fit's numbers will increase to 33 city and 41 highway mpg when properly equipped. 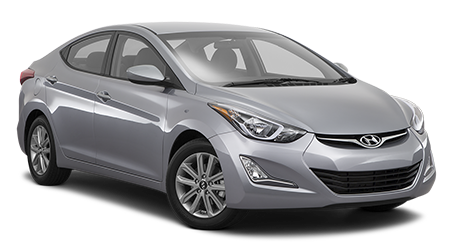 The Hyundai Accent is equipped with a 1.6-liter four-cylinder engine but it misses the mark for fuel economy number, earning 27 city and 38 highway with its manual transmission and 26 city 37 highway with the available automatic transmission. The Honda Fit is GO if you are in the market for an affordable and efficient car! One of the biggest selling points for the 2016 Honda Fit is its interior. It is spacious enough to seat five adults comfortably and it also features the ingenious Magic Seat system for easy reconfiguration when carrying various types of cargo. The Fit offers a total passenger volume of 95.7 cubic feet while the Hyundai Accent hatchback only has 90.1 cubic feet of total passenger space. When it comes to cargo space, the Fit really shines. Behind the rear seats of the Fit, you will find 16.6 cubic feet of cargo area, which is more than enough for a weekend getaway with all of your closest friends; but that can be opened up to 52.7 cubic feet of cargo volume when you need it. The cargo area can also be reconfigured to fit tall items upright (up to 4') and long items laid down (up to 7') with ease thanks to the Magic Seat. In the Accent hatchback you get a little more space when the seats are up, 21.2 cubic feet, but it falls short when the chips are down, with only 47.5 cubic feet for cargo when the rear seat is folded. The Hyundai Accent also lacks the amazing Magic Seat system, so you are left struggling with extra-large or long items. 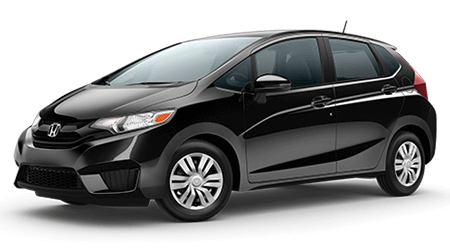 Come to Brandon Honda in Tampa, FL to check out the amazingly versatile and totally utility-happy 2016 Honda Fit. 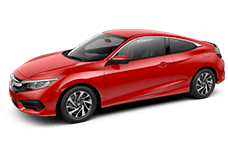 This five-door hatchback will make a bold statement when you drive it around town, and you will be amazed at how versatile the interior is! Come and see us at Brandon Honda, serving all of Tampa and the surrounding areas!